The olive dream from the man who built the hog casings worldwide leader. Fernando Ruiz is relaunching one of the largest olive trees farms from Jaén province. With an unknown background, he has been one of the few Andalusians who has successfully established a business conglomerate leading its sector globally. He has never granted an interviewand his photo has hardly ever been posted in a newspaper. Fernando Ruiz is the businessman’s name who built the Dutch company Teeuwissen. A holding of 42 companies around the five continents which is leading the natural casings business to make sausages apart from heading the mechanically deboned meat sales in Europe and producing the raw material from the pork by-products for the pharmaceutical industry (like heparin). His professional development lived a turning point in 2016 when, after selling his shares from this meat giant, he decided to buy one of the largest olive trees farm in Jaén province, in the southeast of Andalusia. 600 irrigated hectares where Sierra Nevada summits can be contemplated, just a few kilometres from his hometown, Baeza. 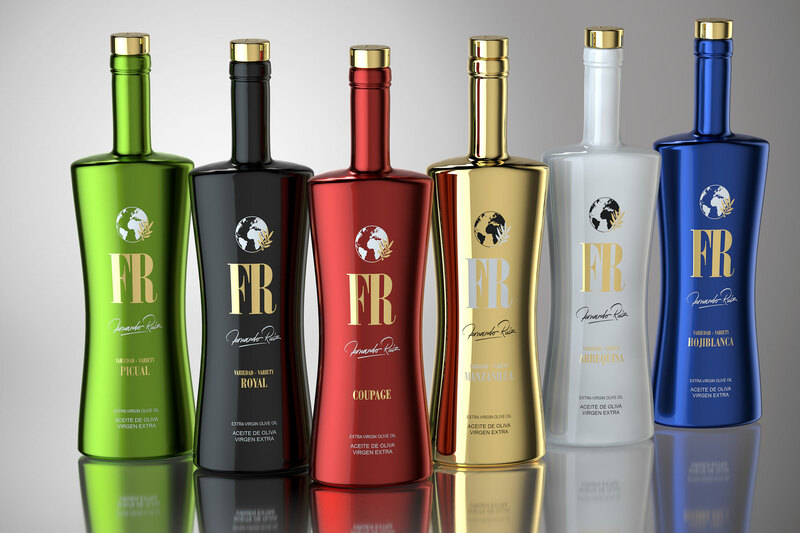 Thus, the brand FRis born to package the olive oil from Finca La Rueda Casa Baja into luxury bottles and taking up the international markets conquest such as the Asian one. How did this journey start?«My father worked in a small slaughterhouse while my brother Alfonso and I, just finished the national mandatory military service at the age of 18, opened a store to sell spices and meat preparations for the sausages producers. Of this way, we built the company Familia Ruiz S.L.», recalled. Everything started in 1987 with a small warehouse and one van. But three years later he suffered a serious blow when his brother Alfonso, inseparable partner, died due to a road accident. Shortly after, his father and brother Félix joined to his company. Later, the second serious blow happened when Fernando Ruiz suffered a renal disease and a kidney transplant and dialysis treatment were needed. «I refused to stop working due to my illness and continued to travel through Asia, America and Africa during 4 years making the dialysis myself at friends home where I slept or in the hotel room». Since every night 22 litres of liquid were needed, he sent them to the destination place before starting a new travel. A decade after the creation of Familia Ruiz S.L. he had already taken the step to become a worldwide leader. The company also started to work with by-products items. «We bought the liver, heart or kidney from big slaughterhouses to freeze them in our working sites and prepare the exportation». It was a global business because the buyers are those countries, specially from Asia, who demand these items «because of food tradition or lack of purchasing power for other kind of meats». A key step was his alliance with the Dutch firm Teeuwissen, a big meat raw material player, with whom he created a joint venture in Spain. «Five years later, with three partners more, we acquired Teeuwissen and created a corporate network made up of more than 40 companies in different countries, that became a world leader in selling casings for sausages». Teeuwissen created an alliances framework with the slaughterhouses in countries such us USA, Argentina, Hungary or Poland, who sent their production to China. Here there were two selection factories, with 4,000 employees, where casings were calibrated and again distributed worldwide. They expanded to other areas such us mechanically deboned meat and bought the firm Bioiberica to enter into the pork by-products sector for the pharmaceutical industry. Only in Spain the turnover was around EUR 200 million. «In 2014 we were so big and the partners had different perspectives. It was the time of searching a relay and we started the company sale process to the German companies group, SARIA, that was concluded in 2015». Ruiz brothers, Fernando and Félix, owned 30% shares. It was the reconversion time. A new professional path arrived with the Finca La Rueda Casa Baja,bought to the Spanish bank BBVA who took the property after the bankruptcy of the original owner, a builder from Catalonia region. «Some people wanted to buy it for being parcelled and reselling again but my dream was to restore it and make an integral project». Fernando Ruiz has invested EUR 30 millionin the acquisition, the olive trees recovery, very damaged after years of neglect, and to build a modern oil mill and packaging line. «The olive oil market is increasing but there is a common growing interest in all the countries about the traceability. The detailed knowledge of all the productive process phases that can be only assured with a farm like Finca La Rueda», he notes. This exploitation has produced 600,000 litres of extra virgin olive oil this season, a quantity to be tripled once the olive trees are completely recovered. His goal is to sell the whole production packaged, «the top quality production, made when the olive is in its right ripening time, is packaged with FR initials into luxury glass bottles of metallic eye-catching colours in order to make clear the olive variety used, while the other production is packaged into PET or glass bottles under the brand La Rueda Casa Baja». Luisa, his wife, has played an important role in the groundbreaking coloured glass bottles, making the design. Therefore, La Rueda is a purely familiar adventure as well. «This investment has been done thinking in my son, Nando, who will be able to manage La Rueda in the future». During these first years like olive businessman, Fernando Ruiz thinks that the sector is living a confusion about the qualities. «The end consumer cannot discern between a refined olive oil and extra virgin one with the information given by the labelling. It’s a hurdle». He also distrusts tasting panels because «the quality control is under a few hands». Anyhow, his vision is optimistic.«The consumption is growing in USA, China and Japan and the perspectives are positive if no one spoils it». He has conducted the olive oil to the highest quality control in the industrial process following his meat sector knowledge. Both, in the oil mill which is entirely made of stainless steel and in the olive oil cellar equipped with an internal temperature control. «Sooner or later the global market will value this kind of actions». 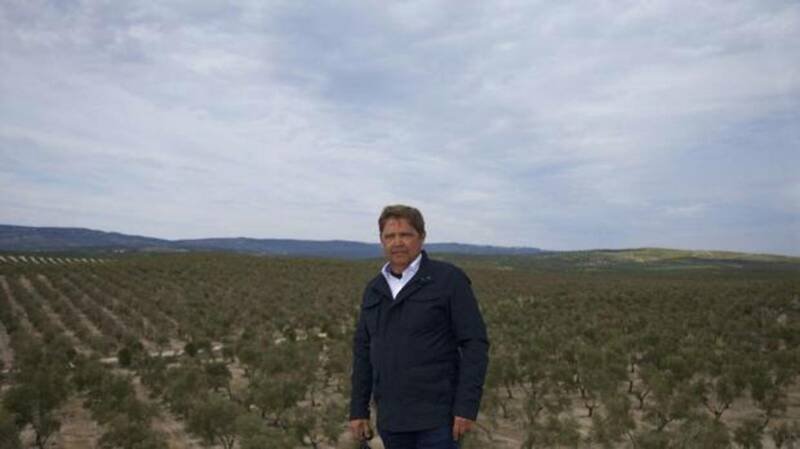 The last venture from Fernando Ruiz has been to bite the bullet in order to reconvert the largest olive grove from Jaén into a groundbreaking firm inside of the olive oil sector. The head office is located in the centre of Baeza which is 20km away and from where he is managing other businesses like real estate assets in Madrid and minks farms in Galicia. However, his big bet is the premium EVOO under the brand FR, packaged into luxury bottles (metallic glass in bright colours according to the variety), with which to conquest the markets like the Asian one.